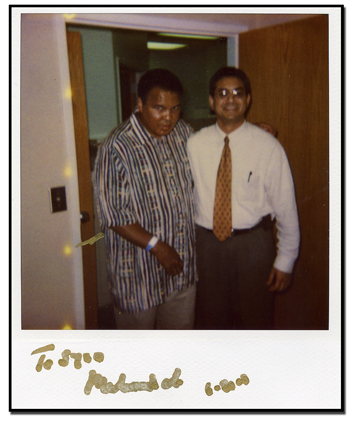 Dr. Syed has the privilege as one of the treating physicians for Mohammed Ali while he was working at Emory University Hospital. 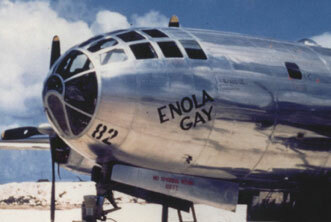 Dr. Syed was the neurologist for Navigator of “Enola Gay”, the name of the plane which dropped the atomic bomb at Hiroshima. Thank you so much for being so attentive in my care, most doctors are so in & out - I feel you truly care about what I am going through. You are truly a God send! I wish all doctors actually listened and cared like you do. I feel great and my husband and my daughter and son say I am the same Mom I was when we first married and Marty and I have been married for 44 years. I wanted to let you know that my Grandmother, Loyce, died Monday, March 12. I appreciate everything that you did for her over the past few years. Although we will miss Nanny dearly, we take comfort in knowing that she can once again be the active and vivacious spirit she once was. Dr. Syed, Nanny thought so much of you. Your compassionate care meant more than words can express. May you be blessed for your kindness. Thank you for taking care of my medical needs. You are all great. I hope this finds you well. I had the opportunity to see E. S. in the office today. As you know, she is a woman with Parkinson's disease as well as coronary disease and venous insufficiency. She had seen a number of neurologists including the ones here and also in Lawrenceville. She was very dissatisfied with her treatment and we directed her to your office. She is another one of my patients who sings your praises. Unfortunately, your good heartedness and kindness to your patients is not a trait shared by many other neurologists. Once again, I am in your debt for the great care you take of my patients. 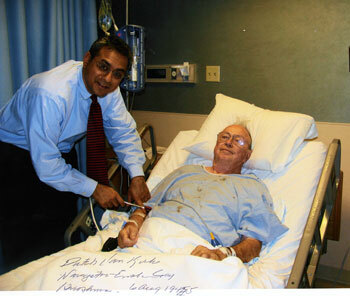 Please thank Dr. Syed for everything he did for me. too. Most doctors rush you out so quickly, but he seemed genuinely interested in my problems. I will gladly recommend him to anyone needing a Neurologist. To the Best Neurologist Ever! !